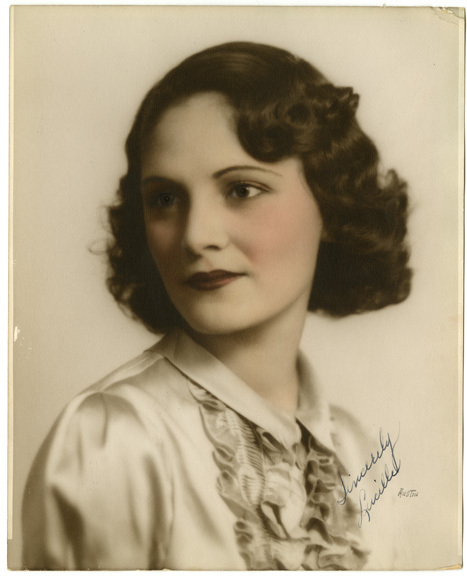 The CSRC is very sad to report the passing of Lucille Beserra Roybal on December 23, two weeks before her 96th birthday. Roybal was a pioneering political activist for the Latino community and wife of the late U.S. Senator Edward R. Roybal, whose extensive papers are a cornerstone of the CSRC archives. If you didn’t know who Jenni Rivera was before December 9, 2012, by now you’ve surely heard of the Diva of Banda. You know that in addition to being a singer she was a successful actress who was about to cross over into the living rooms of non-Latino, English-speaking America with a reality TV show on ABC. The Institute of American Cultures (IAC), which oversees the CSRC and the three other ethnic studies centers at UCLA, has posted information on its website concerning fellowships and grants for the 2013-2014 academic year. MEDIA: "Jenni Rivera's Fame Built on Gut-level Connection with Her Fans"
Agustin Gurza, music journalist and CSRC author, remarks on Jenni Rivera's success as cultural symbol in this story following the Mexican American singer's death. The L.A. Xicano catalog essay by Pilar Tompkins Rivas was excerpted in Spanish the latest issue of Carta, the magazine of the Museo Nacional Centro de Arte Reina Sofia in Madrid, Spain. Maria Elena Ruiz, who served as CSRC associate director for 2010-12, was awarded an Institute of American Cultures (IAC) grant for research assistance during the 2012-13 academic year for a literature review on the Cuban health system with regard to its implications for the U.S. Affordable Care Act. “Ethno-Racial Profiling and State Violence in a Southwest Barrio," by Pat Rubio Goldsmith, Mary Romero, Raquel Rubio-Goldsmith, Manuel Escobedo, and Laura Khoury, is the recipient of the Latin American Studies Association Latino Studies Section Article Award. A summary of the latest CSRC news, events, Library collections, and Press publications. MEDIA: "Ken Johnson, Art Critic, Taken to Task in Open Letter"
CSRC director Chon A. Noriega is cited as among the curators who signed an open letter and petition demanding "New York Times" art critic Ken Johnson acknowledge racist and sexist language in his recent writings. The CSRC Latina/o LGBT Initiative, devoted to preserving LGBT collections and making them accessible to the general public, is asking for support through a donation of $50 for its 50th, that is, the 50th anniversary of the CSRC in 2019.